Samsung just revealed their updated version of the Samsung Gear 360 and it’s a very different beast to the original. 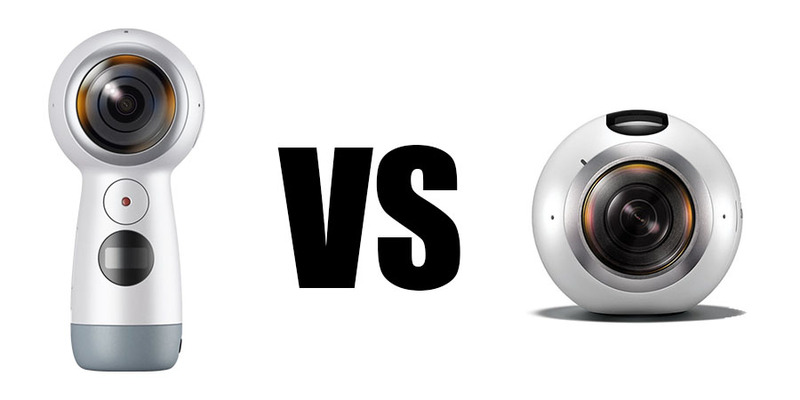 They’ve decided to stick with the same name, so for the purpose of this comparison post, we’ll be referring to the updated version as the “new” Gear 360 or the “2017” version. 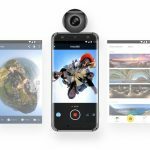 The new Gear 360 isn’t just an incremental update but in fact a major change in the direction of Samsung’s 360 cameras. The design has been altered to include a handheld friendly body and the software has been amended to include live stream capabilities. Samsung has made clear its intention for the Gear 360 to be a mainstream product rather than a niche gadget for specialists. Samsung is promising a cheaper, easier to use 360 camera that is accessible for all. In order to accomplish this, Samsung has redesigned the Gear 360 from the inside out. Let’s compare the new gear 360 with the original to see exactly what has changed. Overall it would seem that the new Gear 360 (2017) represents a major upgrade compared to its older brother in terms of number of features, however, the change in optics and the lower photo resolution is disappointing for people more interested in photography. Having used both cameras I can confirm that the photo quality has dropped but video quality has improved, so you’ll need to make a decision on which is more important for you. Never the less, the addition of a live stream feature is long overdue and stabilisation (if it works), as well as larger memory capacity, are both very welcome. Whether the handheld aspect makes much of a difference to how the camera is used (I think 360 videos/photos are best shot with a tripod anyway) remains to be seen, but a cheaper price and compatibility with dozens of devices will no doubt attract many new customers to Samsung’s increasing product line. Some will be disappointed at the reduction in photo size and a merely incremental increase in video resolution, however, Samsung has delivered this new camera at an attractive price, helping 360 cameras to become a truly mainstream product. If Samsung continues to support its line of 360 cameras it will drive constant improvements in features in the years to come, as we have seen in all other mainstream electronic products, but this will only happen if enough people are convinced that 360 cameras are worth trying. 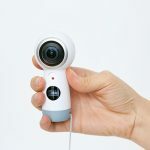 Update: If you want to pick yourself up a bargain, the original Gear 360 is now available at a huge discount on amazon.com – nearly half price in fact. This makes it the best value 360 camera available right now. Do you know where to buy ?